You cannot think of SEO now days without thinking about SMO and Content Marketing. Social media optimization is becoming an important feature of search engine optimization. I was given a task on advertisement for our web business company. I was interested to see, how SMO is becoming one of the leading aspects of advertising. 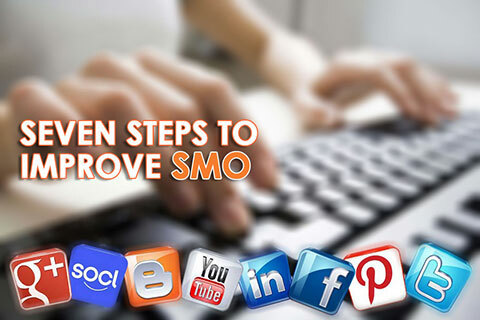 Arguably, SMO is filling up the place SEO in short future. So have you given a thought about SMO? SMO is the creation of content on the Internet, which is likely to be shared through various social networks. There are different ways to optimize your web content through SM sites. First, you have to understand why it is so important in advertising. Social media optimization was planned to attract traffic from different media sites. It was said earlier that this kind of optimization only drove traffic from specific sites. However, it has become far more important recently, which drive searchers from both social sites and search engines. If you have understood the value of social media optimization and looking forward to enhancing branding of your company or service, then this article might help you to your cause. Reputation is built with trust and surety. You have to create quality contents to build your reputation. This will start with thorough researching and expressing your gathered information in a way that can be understood easily. Reputation can be built in many different ways. You have to share information you know to attract your visitors. Your reputation will increase if you start to engage with others through commenting and discussion. If you help people with your honest information, people will start to trust you. Moreover, trusting you will give them confidence about your information and thus gradually build your reputation. As I have said earlier, you have to involve with your viewers. The people watching you post will make comments ask questions and share if they find it important. You have to make answer to their questions, help them with the information; they need to understand your topic. You need to make interaction with the people of different communities from your Google plus, LinkedIn, Twitter, Facebook and other share buttons. You can also use social logins to make commenting more easily. It is a great idea to end your article by asking the users’ opinions. Google authority can be a big bonus for your content. You can be a notable authority by exercising in a certain skill. Mastering any ability will enhance your confidence and the confidence of your audience. Google will understand you as an expert and surely will help you with a better indexing. The thing I am telling again is concentrating on your research and contents you are making for your audience. A perfectly tuned article will attract them, help them and will lead the sharing it through Google plus and other sharing options. If fair numbers of people found your article helpful, surely, you are going to develop in SEO. To me, leadership in SM optimization is something combined with informative research, creative thinking, and producing content, which is going to benefit your readers. It is important that you are giving them fresh contents, information; they do not know already. Give value to their time and produce something that really is going to teach them something new, something they haven’t yet heard of. A leader will lead his audience with proper knowledge. Produce quality information in a short and easily understandable article. It is important to be social with your audience. Your audiences are not from Venus; they think exactly like you do. Put yourself in their position and think what they would like to hear from you. In social networks, you have to be Frank, real, and authentic to your audience. Love them, and they will love you back. Furthermore, the man sitting in front of the monitor is not a computer; put your information in a way that can be processed within the brain easily. Be emotional, pleasant, and generous. Make a strong bond through the social media sites to brand yourself. Learn the technical details about all the social sites. Learn how to operate LinkedIn, Google plus, Facebook, twitter, etc. You need to decide which platforms are going to help you expand your business. Which are audiences and where they are likely to be found? Blogging platforms can be an effective aspect to improve your SMO. In my career in advertising, I spend time learning about advertising almost every day. There is always something new and exciting. I suggest you to be in touch with SMO to learn more and more about fresh skills and techniques. You have to optimize your knowledge in a fruitful way to enhance your ranking in search engines. You know how to use share, subscription and like buttons. You know how to target audience and attract them to your blog or web. Optimize your time and effort by using proper title tags and images to make your contents appealing to your targeted audience. Make use of your time suitably and make your audience happy with spending their time by creating proper, useful, and informative content. Combine your information and make proper use of them. I have used seven steps designed by Joshua Berg effectively to enhance my market. Thanks him for his wonderful techniques.